When people received the digital images from the Hubble telescope, those first few eyes who are getting it on their screens — I guess it has to be something very similar to that. When I look inside our own anatomy at the time where nobody knows if we even exist it’s the same as looking at dimensions that we never imagined we would ever see because we didn’t know they existed. Ali H. Brivanlou to Radio Lab: The Primitive Streak. 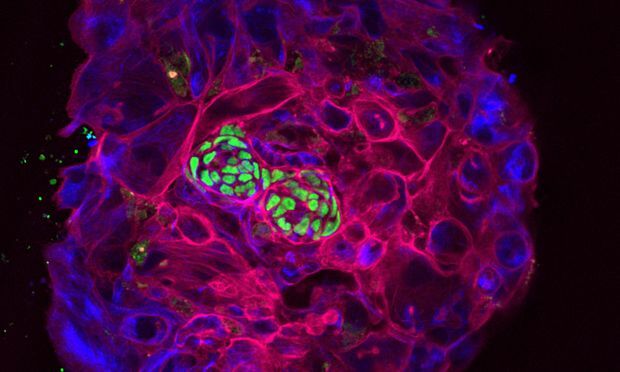 Image: Day12 human embryo in vitro. Gist Croft, Cecilia Pelligrini, Ali H. Brivanlou, The Rockefeller University.